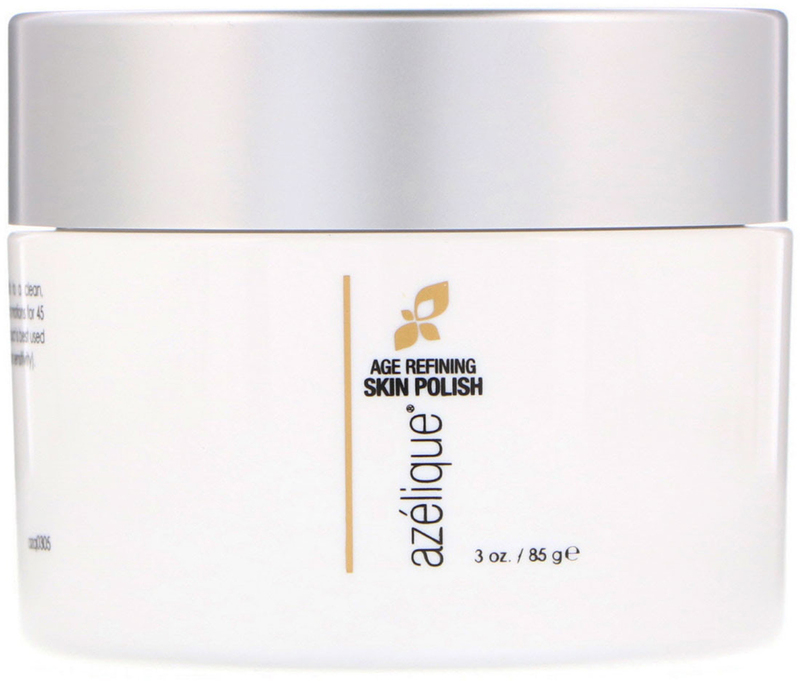 Azélique® Age Refining Skin Polish is a spa-quality microdermabrasion session that you can enjoy in the privacy of your own home. Made with biodegradable polishing agents, this treatment uses exfoliation to gently and effectively slough away dull dead skin cells, deep clean pores and help to correct environmental damage. Age Refining Skin Polish is ideal for those with fine lines, wrinkles, acne, hyperpigmentation and dullness who want to experience smoother, softer, more even-toned skin. This is a groundbreaking and proprietary synergistic blend of nutraceuticals and botanical extracts designed to help diminish existing skin damage while helping to minimize further oxidative damage. Use 2-3x weekly. 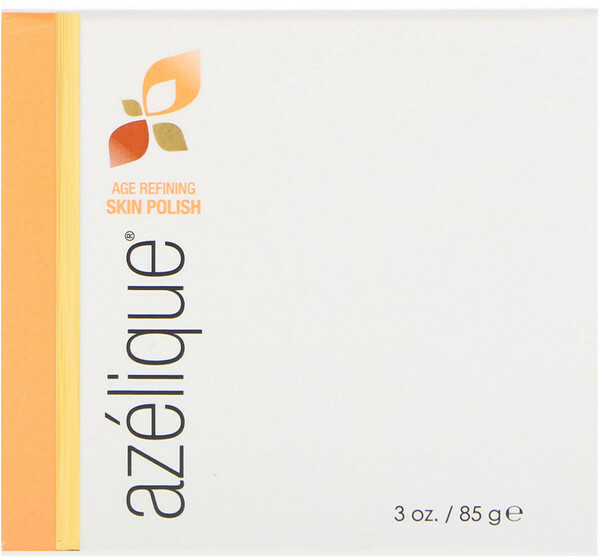 Apply Age Refining Skin Polish to a clean, damp/wet face (avoiding eyes). Gently massage in small circular motions for 45 seconds to 1 minute. Rinse well with water and pat dry. This product is best used 2-3x per week (allow 48 hours between applications to avoid skin sensitivity). 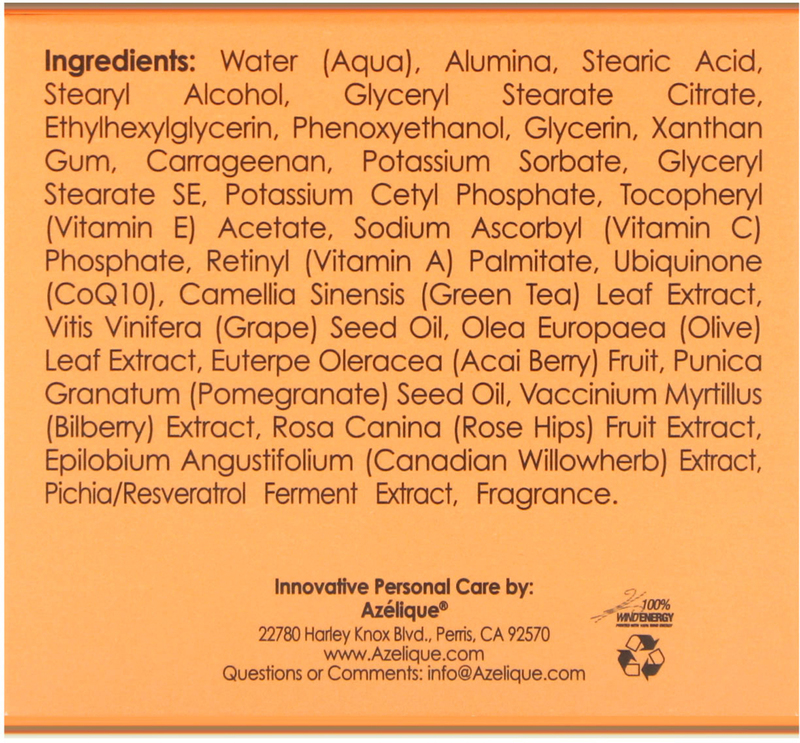 Water (aqua), alumina, stearic acid, stearyl alcohol, glyceryl stearate citrate, ethylhexylglycerin, phenoxyethanol, glycerin, xanthan gum, carrageenan, potassium sorbate, glyceryl stearate SE, potassium cetyl phosphate, tocopheryl (vitamin E) acetate, sodium ascorbyl (vitamin C) phosphate, retinyl (vitamin A) palmitate, ubiquinone (CoQ10), camellia sinensis (green tea) leaf extract, vitis vinifera (grape) seed seed oil, olea europaea (olive) leaf extract, euterpe oleracea (acai berry) fruit, punica granatum (pomegranate) seed oil, vaccinium myrtillus (bilberry) extract, rosa canina (rose hips) fruit extract, epilobium angustifolium (Canadian willowherb) extract, pichia/resveratrol ferment extract, fragrance.